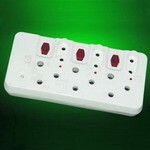 ﻿ New Surge Protector Strip - French & South African Type - Comany News - Fatech Electronic CO., LTD. In order to meet different countries clients requirement, Fatech Electronic (CHINA) LTD introduces two new surge protector sockets, one is for France, another one is for South Africa. - The core parts are metal oxide varistor, temperature fuse with high discharge capacity and reliable quality. 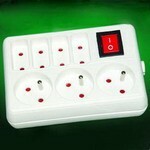 - High current capacity, low residual voltage, fast response time to over-voltage.